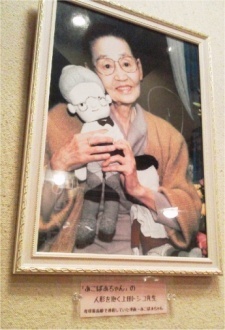 Ueda Toshiko (* August 14, 1917 - † March 7, 2008) was a Japanese mangaka who helped shape the face of modern shojo manga. She wrote under three pen names: 上田としこ for manga, 上田とし子 when writing for newspapers, and later 上田トシコ, all three of which are read as Ueda Toshiko in English. Toshiko was best known for her manga Fuichin-san, which won the 5th annual Japan Cartoonists Association Award for Excellence and the 1960 Shogakukan Manga Award. She was also recognized for distinguished service during the 100th Anniversary of the Japanese Copyright Act in 1999. She was one of the first female shoujo artists at a time when the field was dominated by men. Toshiko Ueda (born 1916) is best known for Fuichin-san (1957), a story of a lanky and lively Chinese girl set in prewar Manchuria.